The solution is very easy to turn off the mobile internet at the Samsung Galaxy! Not everyone has a flat rate for the Internet, then you want that the Internet is only used in WLAN / WiFi on the Samsung phone. This is not just possible on the Appels iPhone, here is a simple short example of how you can turn it on and off on any Samsung Smartphone with google's Android or other Android phone without having much Android expertise! 1.) ... Activating and deactivating Mobile Internet! 2.) ... What should I watch out for when, disabling Mobile Internet? See also: ► ... Where can I find the settings on Samsung Galaxy? 1.) Activating and deactivating Mobile Internet! If you want to disable the mobile Internet on the Samsung Galaxy, please open the main menu of your Samsung Galaxy, then via settings on "Connection"! 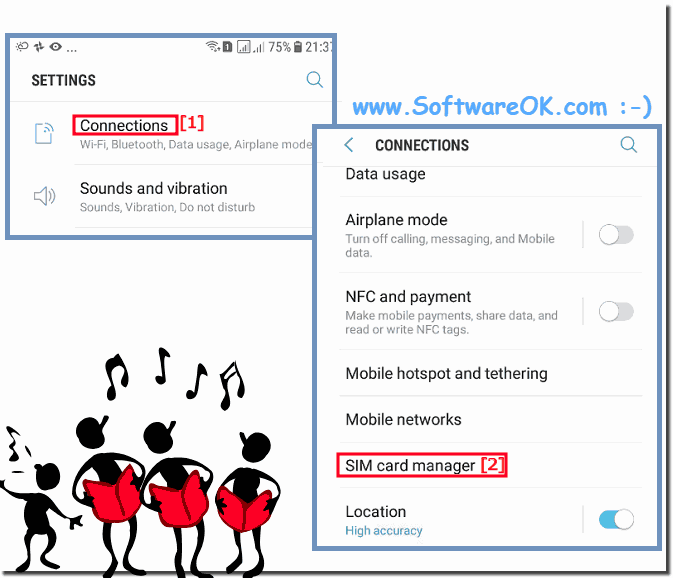 In Connection, simply select "Sim card Manager" and disable the package data in mobile networks! (Image-1) Samsung Galaxy Internet Data Usage! (Image-2) Samsung Galaxy disable mobile Internet! 2.) What should I watch out for, when disabling Mobile Internet? The battery consumption is slightly higher with WLAN, than with the use of "mobile data" on the Android phone. Also make sure that you do not log in to insecure WLAN / WiFi hotspots that access your private data, and especially if you are doing online banking on your mobile phone. 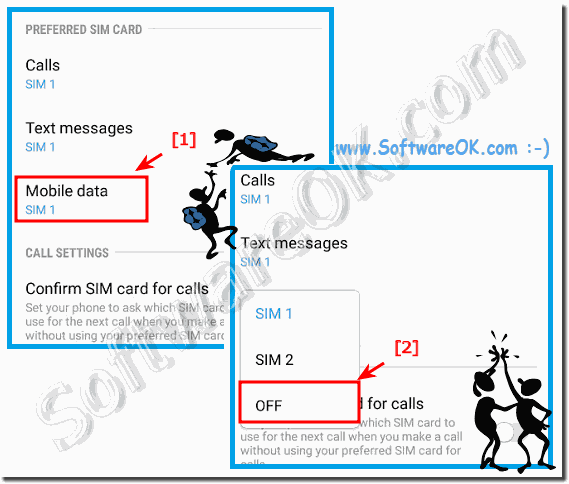 Samsung-Galaxy - FAQ-5: Samsung Galaxy disable the mobile Internet (turn off, on)?